"Powering Agriculture: An Energy Grand Challenge for Development demonstrates how we can harness the collective intelligence and entrepreneurship of innovators to help end extreme poverty by providing clean energy to feed the developing world. The 13 winning innovators are a testament to the power of how partnerships can have a positive, transformative impact in development," said USAID Senior Deputy Assistant Administrator Charles North. Selected from a pool of 871 applicants - 62 percent of which are from developing countries - the winning organizations that comprise the 2015 Powering Agriculture Innovator Cohort will collectively utilize $12.9 million in funding to commercialize clean energy technologies and innovative business models that will: (i) enhance agricultural yields/productivity; (ii) decrease post-harvest losses; (iii) improve farmer and agribusiness income generating opportunities and revenues; and (iv) increase energy efficiency within the operations of farms and agribusinesses. 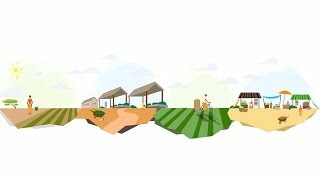 Powering Agriculture uses a nexus approach that concurrently focuses on energy, food production/processing, and water usage to better enable collaboration and coordination amongst numerous countries and donors. Through its focus on sustainable agriculture, Power Agriculture also complements the goals of Feed the Future, the U.S. Government's global hunger and food security initiative. Together with Powering Agriculture, these country-driven initiatives aim to deliver on President Obama's promise to reduce hunger and malnutrition through agricultural development. 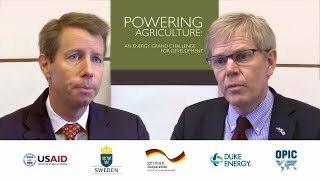 To learn more about the Powering Agriculture: An Energy Grand Challenge for Development initiative, please visit: www.poweringag.org and follow @PoweringAg on Twitter.